Pareto’s Principle, otherwise known as the 80/20 rule, states that 20% of invested input is responsible for 80% of the results obtained. Applied to profitability, it can be said that 20% of your clients account for roughly 80% of your business’s profit. Applied to account management, you spend roughly 80% of your time managing 20% of your clients. Taken in combination, this means small business owners and large companies alike spend an inordinate amount of time managing the high-maintenance, low-to-no-to-unprofitable clients from among their account bases, often neglecting loyal and satisfied top clients. Most people in business understand how much more profitable it is to keep existing clients happy than to constantly chase new ones; but, the quest to keep all clients equally happy at all times may actually be costing you money. Time is a valuable and finite resource – more so for small business owners whose time may be split among all functions necessary to operate their businesses. By tracking and analyzing the hard and soft costs attributable to each client compared against annual revenue from each account, you can begin to segment your clients by value. Once you’ve organized your clients by decile (stratification by factors of 10 percent), you’ll have a list organized by top clients on down. As you go about your weekly business, take note of the amount of time spent with clients. Is the majority of your time spent on tasks like chasing accounts receivables? Managing complaints? Researching problems? Answering emails and phone calls? Price negotiations? Is the majority of time spent on those tasks in service of top clients or unprofitable ones? And don’t think that large companies have a leg-up when it comes to profitable account management. With heavy operational and organizational structures, large companies have a harder time attributing costs to individual accounts. Further, many companies’ incentive plans don’t factor in lifetime customer value. Sales staff and account managers are often compensated strictly on client retention and amount of sales, with no weight given to the retention of profitable clients over unprofitable ones. The problem with managing accounts this way – for small businesses and large companies alike – is that while you’re spending an inordinate amount of time chasing problem clients, your best clients may silently slip out the back door, impacting your bottom line more painfully than the loss of 10 low-to-no profit clients, or an infinite number of unprofitable clients. I’m not suggesting anyone summarily dismiss zero-profit or unprofitable clients, though. While it’s of the utmost importance to treat your top clients with kid gloves, there are diamonds in the rough from among your bottom deciles. By creating and implementing “up or out” nurturing programs, you may be able to turn under-performing accounts around. In many cases, your under-performing clients are your competitor’s best clients. There comes a time in the life of every business, however, when you must make the difficult decision to let a bad client take flight. 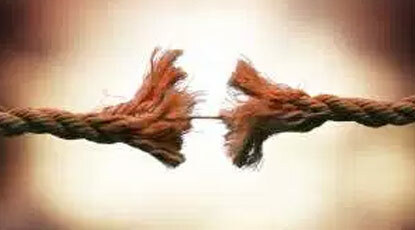 Breakups of this type can usually be managed by creating specific account management rules related to such accounts – subtle actions like not negotiating prices for future business, limited support and less lenient collection practices should help organically sort problem accounts from your base. Conversely, rewarding your top clients for their loyal and profitable custom will go a long way to strengthening those relationships. Incentives can include free products or services, rewards for testimonials and discounts off of future products and services. Most important, such programs provide a pathway for constant, two-way communication so that should any issues arise in the future, you’ll know about it and have a chance to act before these clients walk away.